China is not buying and U.S. soybean producers continue to feel the pinch. A trade dispute between the two nations has seen sales of raw soybeans to the China market plunge since that country slapped a 25 percent tariff on imported product last year in retaliation for Trump Administration duties on Chinese goods. But the soybean trade is also not entirely bleak. 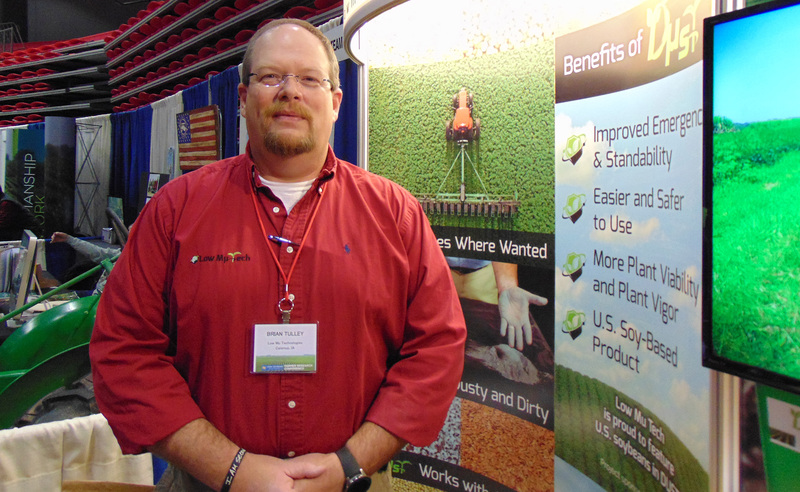 Tulley spoke at last week’s annual Northern Illinois Farm Show at Northern Illinois University’s Convocation Center. The winter show brought together farmers and vendors showcasing a variety of agricultural products ranging from seed and fertilizer to equipment. Soybeans are a highly versatile crop. High in nutrients and protein, it is a popular feed for pigs. Other soybean oil uses range from ink to fuel to vegetable oil. Processed soybean products remain a bright spot in trade between the two countries. In 2016, China purchased nearly 36 million metric tons of soybeans from the U.S., according to Statista, a statistics portal. That’s far above No. 2 trade partner Mexico (3.6 million metric tons). But as part of the ongoing trade war, Chinese companies stopped buying in 2018 and soybean sales to China dropped 94 percent from 2017, according to a New York Times report. In November 2018, China made no soybean purchases at all. Soybeans are the No. 5 crop in the United States, which is the world’s top producer and leading exporter. In Illinois, soybeans are the No. 2 crop and top agricultural export. The market was worth $5.65 billion in production according to 2014 sales figures from the University of Illinois Extension Service. McLean County was Illinois’ top soybean producer that year with 18.6 million bushels harvested. The two countries called a truce in their trade war, and both sides have continued to talk about ways to ease the trade war. But in a positive development, China made a 1.13-million-ton purchase of U.S. soybeans in December and more in January.